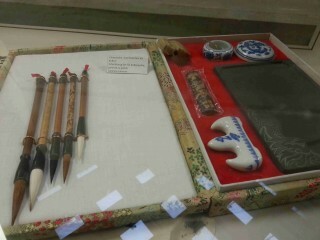 Some weeks ago I by chance visited a little exhibition on Chinese letters and Kalligraphy in my home town. 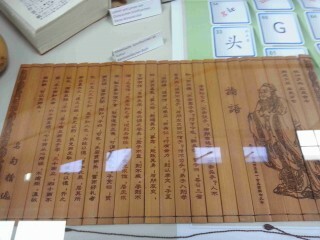 A Chinese who lives in Germany already for many years had organized it in the entrance of the local library. An ideal place I think. Ideal in so far, as one can see the big difference between the present Western way of writing or printing and the Chinese way of embodying writing as a kind of art. 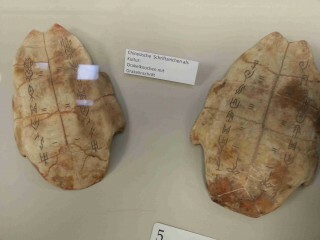 A kind of art which integrates the letter, the haptic, the look and feel of the writing or better to say painting the material and the old tradition with its symbolic and oracle like characters. If one wants to learn writing Chinese, one has to face these different aspects or layers of meaning. And one has really to let one go into the process of writing. 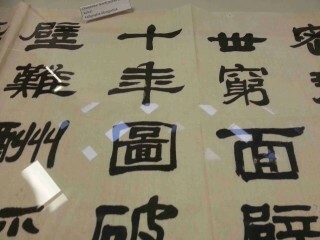 So learning the language or writing Chinese always is a process of cultural experience.